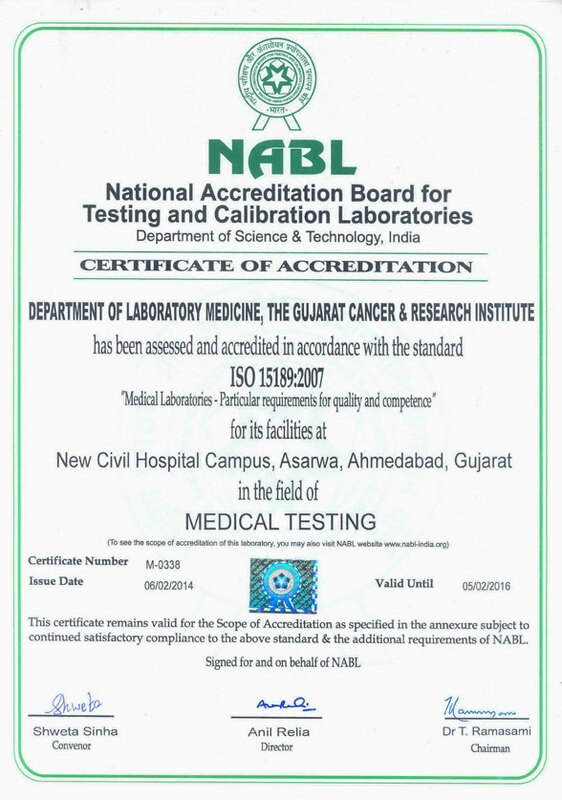 Clinical Carcinogenesis Lab is part of Cancer Biology Department and the Department id well-equipped with facilities of NGS, Microarray, DD-PCR, Real Time PCR, Thermal Cycler, Cell Sorter etc. Research: Main focus on Oral cancers and Brain tumors. Academic: M. Sc. Cancer Biology Course activities. Diagnostic work: Molecular testing of IDH ½ Mutations and MGMT Methylation activity from solid tumors and Liquid Biopsy specimens of Glioma patients for molecular classification of glioma subtypes. Diagnostic work of Molecular testing of IDH ½ Mutations and MGMT Methylation activity from solid tumors and Liquid Biopsy specimens of Glioma patients.